About a year ago, I had the privilege of traveling to Israel. Walking the land where the history of the people of God played out provided unique insights and a new and deeper understanding of the Bible. Instead of reading a story, I could picture it playing out in front of me. Static interchanges became dynamic monologues with dramatic backdrops. Brief geographic references became touch-points for visualizing a rich landscape and providing contextual clues to help better understand the story. 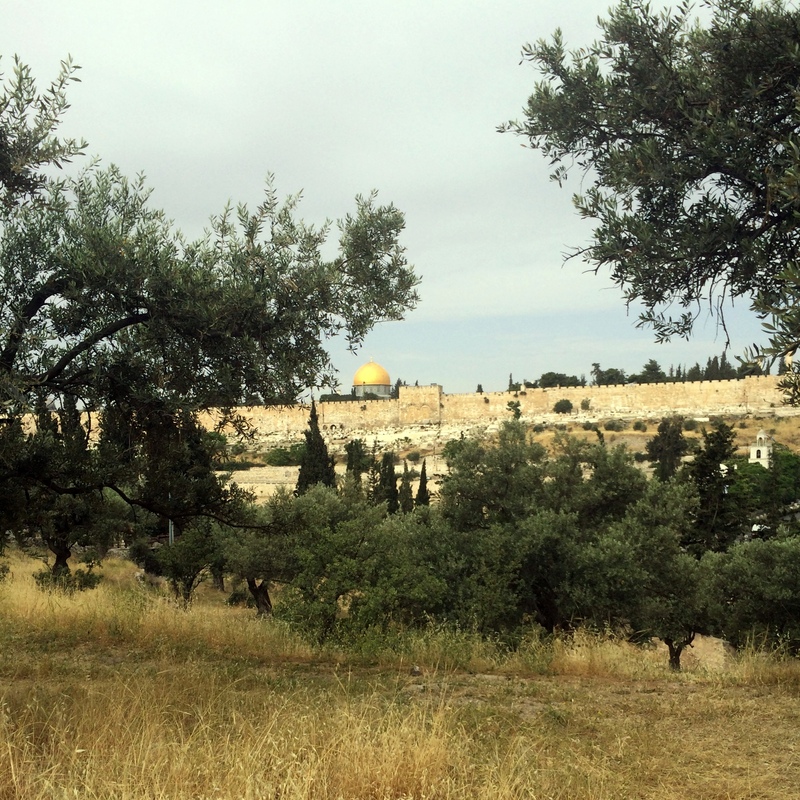 Visiting the Garden of Gethsemane, east of Jerusalem on the Mount of Olives, was one such location. My time spent wandering through the olive groves there forever changed how I will understand the events that took place the night Jesus was arrested. What I never realized before was that the Garden of Gethsemane was one of the best locations from which you could look out over the city of Jerusalem. Specifically, it overlooked the temple on the east side of the city. This means that as Jesus is praying, agonizing over his imminent suffering, committing to the Father to carry through the plans to give his life in exchange for rebellious humanity, Jesus is looking out over the city that had rejected him. How could someone look out over the city that had rejected him, and then still choose to walk back down that hill, through the gate, and willingly offer his life as a sacrifice? This is a strange kind of love, a love that feels almost foreign in its fierceness. To help you get the full picture, let me set the scene for you. You might already be familiar with the story. Each of the gospel writers describes it with slight variants, but together they clearly communicate that Jesus went to a garden called Gethsemane on the Mount of Olives. What I never realized, until visiting there myself, was just how close Gethsemane is to the city of Jerusalem. From the west slope of the Mount of Olives where the garden is located, to the east wall of the Old city of Jerusalem, it is less than a quarter of a mile. 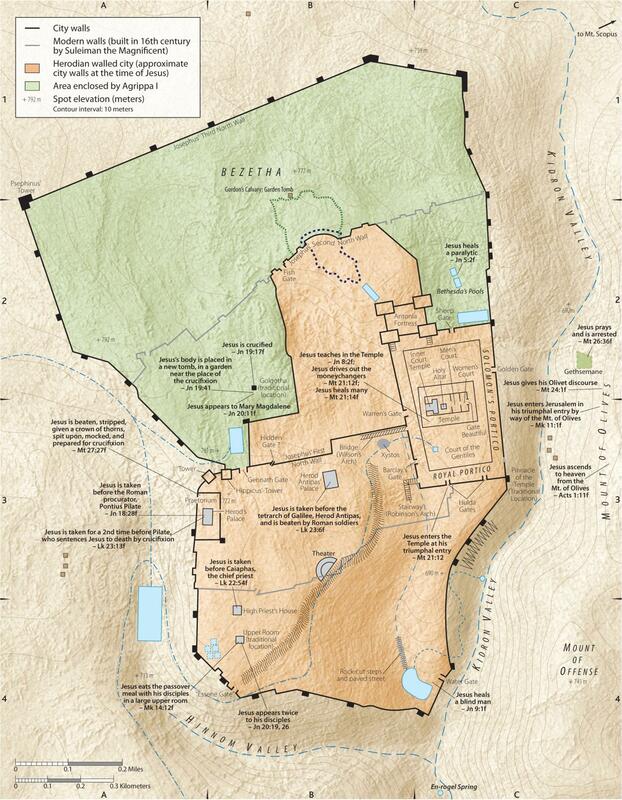 If you’re a visual person, you’ll see the Mount of Olives on the far right side of this map, directly across from the east wall of the city where the temple was located. And here’s the view from the Mount of Olives, overlooking the city of Jerusalem. (You’ll see the modern day Dome of the Rock in the place where the temple would have been during Jesus’ day). In Luke’s account, we learn that Jesus prayed so earnestly and in such anguish that “his sweat was like drops of blood falling to the ground” (Luke 23:44). 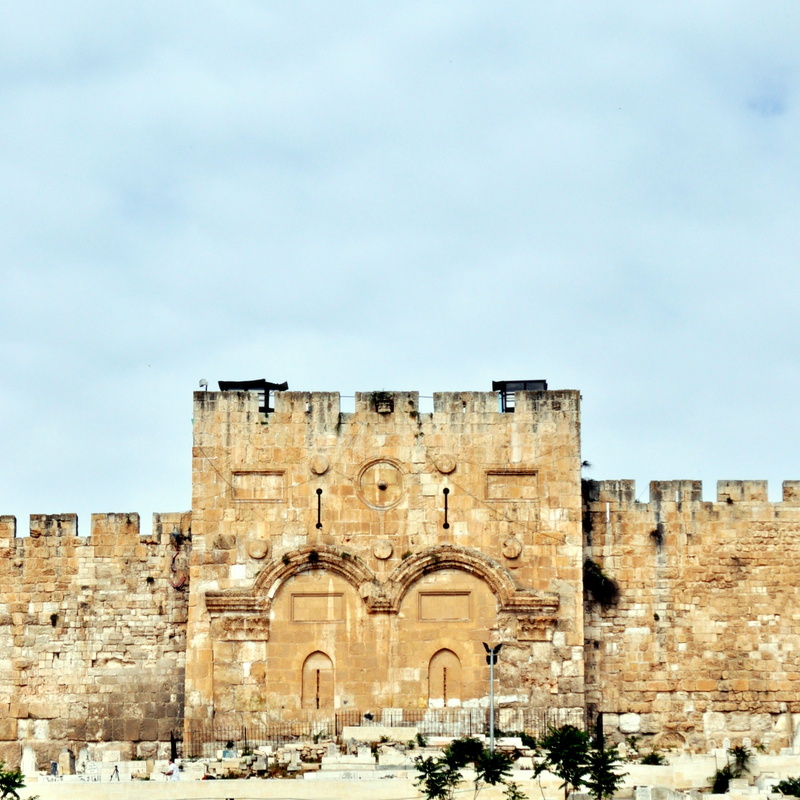 When touring Israel, it’s best to hold expectations loosely. Some sites will be completely different than what you had expected. Others you’ll expect to have a certain emotional response, but due to a packed schedule, exhaustion, or a host of other factors that go with international travel, you won’t “feel” what you thought you would feel. In our two week whirlwind trip that saw over 40 different biblical sites, our time in the Garden of Gethsemane came at the end of the trip. In contrast to so many other locations that bear the trappings of being overrun by the tourism industry, the garden was simple. 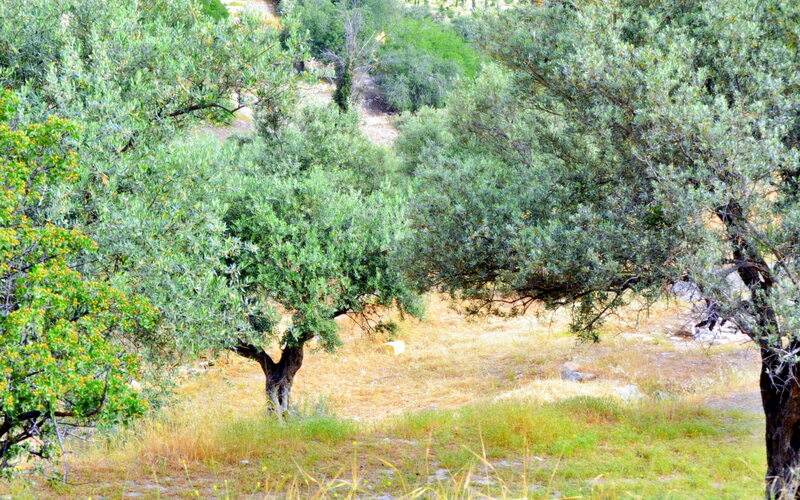 An olive grove on the side of the hill, and no one but our group in sight. I wandered through the olive grove, reflecting on Jesus’ last night before the crucifixion. I had expected to be weepy, overcome with the feelings of sorrow and betrayal that transpired in this place. Instead, as I pondered what it must have been like for Jesus to prepare himself for the inevitable, I felt a sense of resolve. Looking out over the city that had rejected Him, knowing fully that it would cost His very life, Jesus still chose to walk down that hill, across the valley, and re-enter Jerusalem. I pictured Jesus standing in the garden. Set jaw. Lips pressed firmly together. Eyes intently overlooking the city. Hands clenched tightly. Shoulders square. Spine straight. Feet firmly planted. Determination furrowing his brow. He had a mission to accomplish. And nothing could stop him from seeing it through. The soldiers came, one of his closest friends betrayed him with a kiss, and Jesus set his feet towards Jerusalem. He would give his life even for his enemies, because that’s what love does. Friends, Jesus chose you. Jesus chose you even though it cost Him His life. Jesus’ love for you is not a fleeting feeling that changes based on circumstances. Jesus’ love for you is a steady resolve, a determination that leads to self-sacrifices, a choice to love you and keep moving towards you even when you are pushing him away. I doubt that in that moment in the garden, Jesus had a whole lot of warm fuzzy feelings about what he was about to do. Rather, he knew what love required. He chose making a way for relationship with you over personal comfort. He chose death and suffering because it meant reconciliation. This love that Jesus shows us in that moment is a strong, fierce love. It is a love that makes me feel safe, and also scared at the same time. I feel safe because I know nothing I do will ever change how much Jesus loves me. If his love led him to walk back into Jerusalem and give his life for his enemies, then surely my moments of sin, selfishness, and stupidity won’t scare him away. I feel safe because I feel secure in his love, and I trust that he won’t abandon me. I feel scared because I think we’re called to love how Jesus loved, and that terrifies me. If his love led him to endure such pain on behalf of the people he loves, what will be asked of me as I try to love people like Jesus loved people? I feel scared, terrified even, because of what it might cost to love people this way. I remember specifically at the time I was on this trip, I had one friend who was particularly hard for me to love. I wanted to be done, and I was tired of being hurt. The more I moved toward this person and tried to help, the more vehemently I was pushed away. And yet as I sat in that garden, contemplating what Jesus had done, I realized that love doesn’t care about the cost. Love is a choice to put someone else’s good before your own. Love is a resolve to pursue what’s best for another person, even if it demands sacrifice. Love is not a feeling; love is a choice. There will always be people I don’t want to love. There will always be things I don’t want to do. There will always be pains I would rather avoid and sacrifices I would rather not make. Jesus didn’t die for me so that I could spend the rest of my life avoiding hard and painful things. Jesus didn’t walk down that hill, back into Jerusalem, and hang on a cross so that I could hide in safety and waste my life. We inhabit a very dark, very hurting world. People are hurting. Everywhere. Not just in other countries, but in your family, in your workplace, in your neighborhood, and in your social circles. Jesus gave his life so that humanity could once again find hope and healing, forgiveness, and reconciliation to God. Jesus gave his life so that we could live for him. So that we could take this new life we’ve found in him, and share it with others. So that we could love the people around us that are hurting. Even if it hurts, even if it takes a sacrifice, we’re called to love those around us. Jesus died for you so that you could live for him. Who in your life is God asking you to love today? Who in your life have you avoided reaching out to because you know it might be hard? How can you take comfort from the example of Jesus and trust Him to provide what you need as you go out to love this world that Jesus died for? 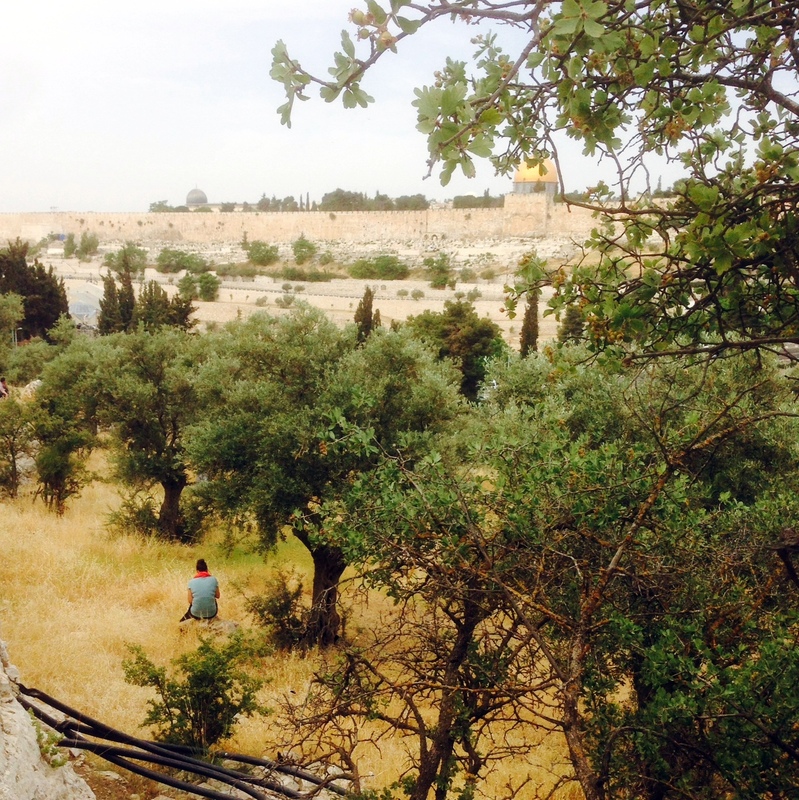 Sitting in the grove of olive trees on the Mount of Olives, with a view of Jerusalem and the Temple Mount in the background. The grove of Olive trees on the Mount of Olives.